Jacques Pepin, a recent featured guest at Les Dames d’Escoffier’s annual “The Next Big Bite” event in New York City, is known for his pioneering work with Howard Johnson’s and collaborating with Julia Child. In the culinary world there may be no better combination of Frenchman and New Englander than Jacques Pepin. 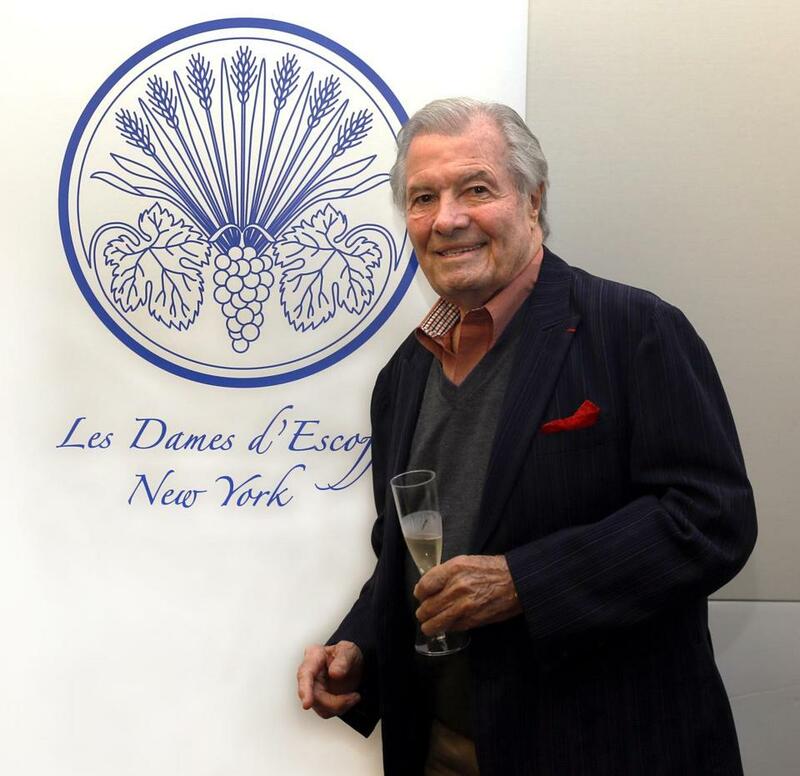 As a legend of American cuisine, Pepin was recently a featured guest at Les Dames d’Escoffier’s annual “The Next Big Bite” event in New York City. He was introduced as “possibly the greatest cooking teacher on the planet.” While his career and collaborations are part of the nation’s culinary history, it’s not hard to recognize our region’s particular influence on him, and his on us. At the event, Pepin discussed with me his being a New Englander and the career milestones that took place here. He is, of course, a prolific cookbook author and cooking show host, remembered for his collaborations with Julia Child. Pepin has shaped Boston University’s culinary arts and gastronomy programs, where he has taught for over 30 years. Longtime residents remember his pioneering work with Howard Johnson hotels and family restaurants, starting in 1961. Pepin has lived for four decades in Madison on the Connecticut coast and says he “absolutely” considers himself a New Englander. Still, it’s natural to wonder how much “French” inflection is in his New England cooking, especially with such notable experience cooking in French restaurants and for French president Charles de Gaulle. The New England virtues of thrift and lack of pretension befit Pepin. Raised during World War II and the privation of postwar reconstruction, he learned to make due. He was an apprentice at age 13 and did not start his formal higher education until he came to the United States in 1959. Along with being “frugal in the kitchen,” he forages for mushrooms, dandelions, and wild leeks on his 4 acres. No conversation with Pepin is complete without him rhapsodizing about lobster rolls and clam chowder. It harkens back to his decade with Francophile Howard Johnson, on a mission to spread New England favorites including fried clams and other seafood nationwide. Since then, of course, much has changed. “New England food has gotten more refined. I can give you 10 restaurants that I go to now that didn’t exist 40 years ago, from Bar Bouchée, a French restaurant, and Clam Castle where I get a good lobster roll. Boston was kind of a gastronomical wasteland, but not any longer. There are fantastic restaurants.” Eastern Standard is a Boston favorite. He also liked the recently closed Les Sablons in Cambridge. “There are different types of creativity. Working with a recipe and making it slightly better and slightly different and getting into the taste — that’s creativity for me. It is more important than changing all your vegetables and adding six different types of herbs on top,” he says. Rachel Ellner can be reached at rellner@gmail.com.